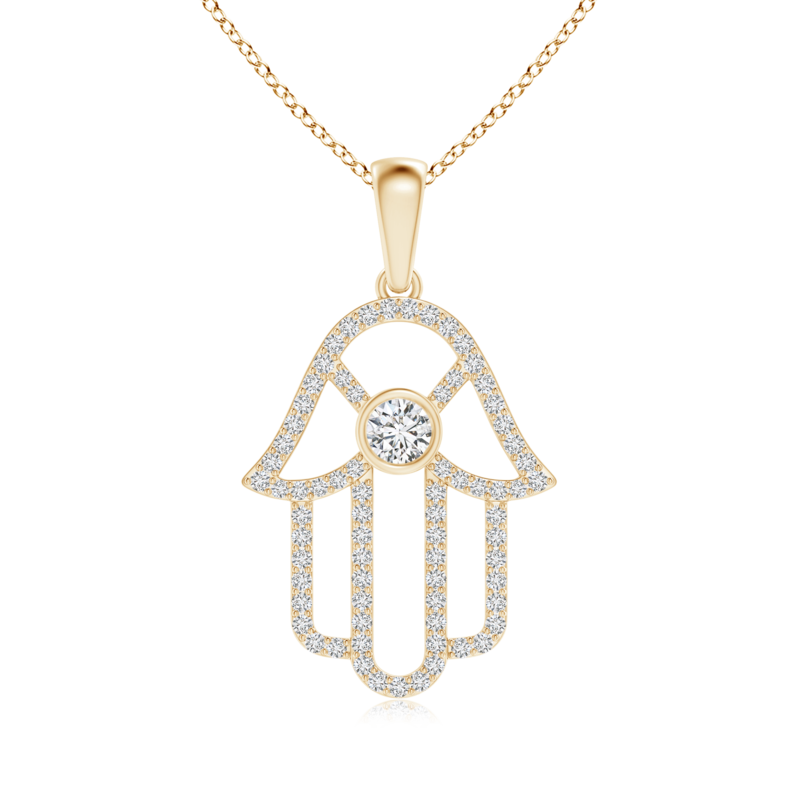 The mini hamsa hand pattern showcased in this flawlessly designed pendant is believed to be a symbol of good luck and a protector from the evil eye. Its appeal is uplifted with prong set lab grown diamonds that adorn the entire frame with their purity and sheer brilliance. A glorious lab grown diamond solitaire, bezel set in the heart of this alluring piece of jewelry, infuses more opulence into an already splendid design. Crafted in 14k white gold, this hamsa; hand of god necklace is sure to grab attention.